Earthbound Creator Says New Sequel is "Impossible"
Replying to a fan on Twitter, Earthbound/Mother-creator Shigesato Itoi said a new game would be "impossible." Known as Mother 2 in Japan, Earthbound hit American shores in 1995 and since then has managed to establish one of the most dedicated fanbases in gaming. Despite this, the game's predecessor and sequel, Mother 1 and 3, have never seen an official localization and release for English speaking audiences. Despite being privy to the rest of the series, Japanese gamers haven't had it much better. Mother 3 had a notoriously long development cycle, starting in the mid-90s and finally releasing in 2006. Since then, Japanese fans have continued to petition for new sequels, with little luck. While Nintendo has vaguely suggested that future titles could someday be possible, the pleas of fans have generally been rebuffed by the series' creator, Shigesato Itoi. When questioned about the franchise in 2011, Itoi said "Mother is over now." He echoed this sentiment recently when a fan contacted him via Twitter asking if he could "please think about a way to make Mother 4." Itoi's response was both succinct and blunt: "Impossible." 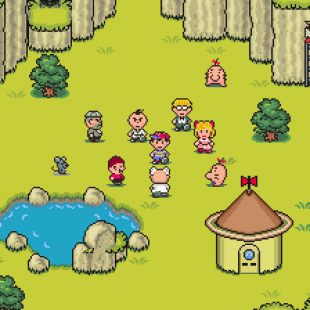 While many will likely be discouraged by Itoi's reluctance to continue the Mother games, some may find solace in the efforts of the game's fanbase to expand the series' presence beyond the shores of Japan. A fan-made Mother 4 has been in development for several years now, and earlier this month a team of amateur translators offered to give Nintendo a completed localization of Mother 3 free of charge, hoping it might convince the company to release an official English version of the game. If none of that serves to comfort, Earthbound devotees will at least have a new opportunity to play the game when it's re-released on the Wii U's Virtual Console later this year.